Best Bicycle Accident Lawyer Denver CO - The Law Office Of Richard J. Banta, P.C. If you’re looking for one of the best bicycle accident lawyer Denver CO offers, contact us at the Law Office of Richard J. Banta, P.C. A serious bicycle accident injury caused by someone else’s negligence that requires medical treatment and time off from work may qualify you for compensation. When it comes to the best bicycle accident lawyer Denver CO victims need someone they can trust. A lawyer from our firm may be able to help you pursue a personal injury claim against the responsible parties. We have successfully litigated many bicycle accident injury cases at the Law Office of Richard J. Banta, P.C. We have also helped clients navigate the legal process and recover the maximum amount of damages possible. In you were a victim of someone else’s negligence and suffered bicycle accident injuries as a result, contact us as soon as possible. We can provide you with an experienced attorney who some consider to be the best bicycle accident lawyer Denver CO residents choose when they need assistance. Call us at the Law Office of Richard J. Banta, P.C. today to request a free consultation if you were the victim of an accident. Motorists are not always aware that there are cyclists so close to their vehicle. Motorists who are distracted may swerve into the path of a bicyclist. 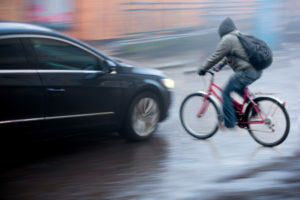 Motorists who do not obey traffic laws can be unpredictable at the risk of cyclists. or simply not abiding by normal traffic laws. This poses a huge risk for cyclists. Another cautionary factor is alcohol consumption, because a driver who is operating a vehicle under the influence is significantly less likely to notice a cyclist near them on the road. Proving that the motorists was driving under the influence can be challenging; you will want the best bicycle accident lawyer Denver CO residents turn to for cases like this. There are a great number of bicyclists who are injured or killed on the road every day. If you have been the victim of a bicycle accident, or know someone who has, you may be eligible to receive compensation for your pain, suffering, and medical bills. We are confident you can find the best bicycle accident lawyer in Denver CO for your legal needs at the Law Office of Richard J. Banta, P.C. Most people have experienced road rage of some kind, and understand that it can be extremely hazardous. 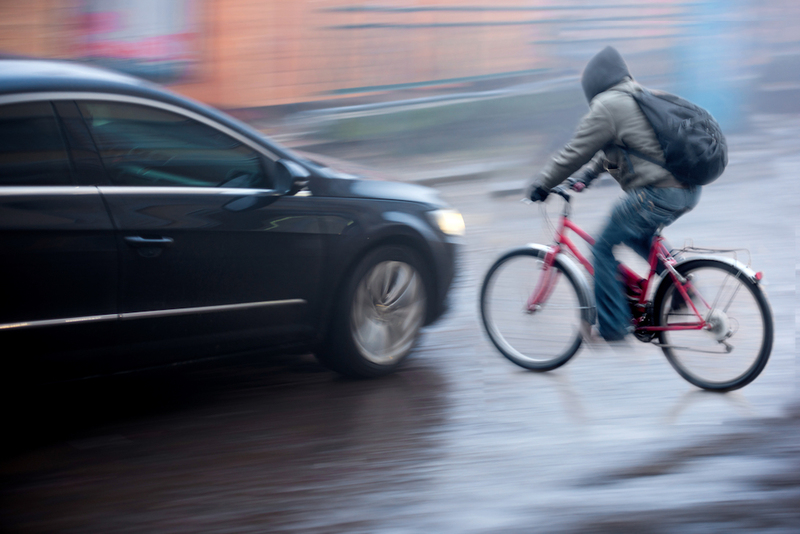 Unfortunately, cyclists are frequently the victim of a drivers’ road rage. If you were injured in an accident involving road rage on part of another driver, or in some cases a cyclist, you should consult one of the best bike accident lawyers in Denver, CO to explore your legal rights and options. When you think about road rage, you might first reflect upon a time in which another driver cut your car off while changing lanes. A cyclist being the victim of road rage may not come to mind. Yet, do a simple search on an online video site and you’ll find hundreds of videos showing a driver clearly intimidating a cyclist, and in some causing them injury. Driver road rage toward a cyclist can include, at the minimum, verbal abuse or threatening behaviors which distracts the bicyclist. For example, the driver of a car might throw a piece of trash at the cyclist. Even if the driver mean no ill-harm, their actions were uncalled for and could be considered dangerous. Get out of the way of the vehicle. Avoid making threats, yelling, or worsening the situation – even if you are upset. Take the license plate number, but make sure you won’t aggravate the situation. Make a mental note of any details on the vehicle, and write them down as soon as possible. Call the police and make sure a police report is filed. If you were injured because of the road rage incident, you should seek medical care immediately. Call a Denver, CO bike accident lawyer. When you’re dealing with road rage, you may be dealing with someone who does not have a clear mind. We ask that you be mindful of the situation and do your best not to escalate it. In these types of cases, it is possible for the aggressor to be criminally prosecuted, especially is someone was injured or lost their life. Road rage is a criminal offense and is punishable. Our road rage bike accident lawyers will help you to understand the consequences of the aggressors actions in addition to compensation that may be owed to you. If you were involved in a cycling accident that involved some kind of road rage on part of a driver in a car, commercial truck, construction vehicle, or other mode of transportation, and you were harmed, call a Denver bike accident lawyer from The Law Office of Richard J. Banta, P.C. for a free and confidential consultation.